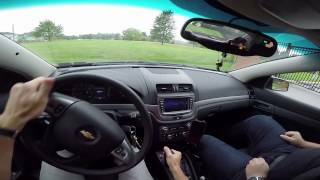 The Chevrolet Caprice PPV 2012 (Police Patrol Vehicle) posts the best in-class top speed and best-in-class braking (125.8ft stopping distance for 60mph to 0mph) for second consecutive year. 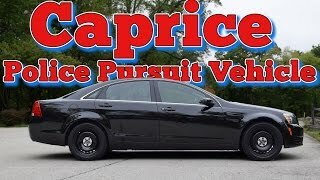 The Caprice LFX 3.6L V-6 outperformed the naturally aspirated Dodge Charger V-6 and Ford Police Interceptor Taurus Sedan V-6 in 60-0 mph braking, top speed and acceleration. The folks in Detroit may start seeing this PPV more on the road as the old Ford Interceptors get replaced. GRATTAN, Mich. – Chevrolet has three good reasons for scofflaws to behave on the roads. Led by the 2012 Chevrolet Caprice Police Patrol Vehicle (PPV), the brand’s 2012 police lineup beat the competition at the recent Michigan State Police testing in Chelsea and Grattan, Mich.
“The results speak for themselves and prove why they’re the best choice for law enforcement duty today,” said Dana Hammer, manager, Law Enforcement Vehicles. The Caprice PPV 6.0L V8 was best-in-class in the 60-0 mph braking test for the second straight year, with a 125.8 ft. stopping distance. That was four feet less than the Ford Police Interceptor Taurus AWD turbo. 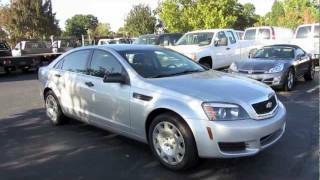 Caprice also posted a best-in-class top speed for the second consecutive year increasing 6 mph to 154 mph compared to 148 mph for the Ford Police Interceptor Taurus AWD turbo. “In terms of braking, an average deceleration rate of 30.77 feet per second is unprecedented for police cruisers, so we’re quite pleased,” Soo said. 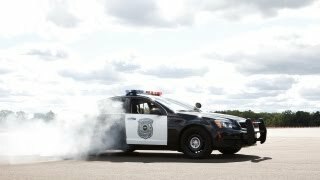 The Caprice LFX 3.6L V-6 outperformed the naturally aspirated Dodge Charger V-6 and Ford Police Interceptor Taurus Sedan V-6 in 60-0 mph braking, top speed and acceleration. The Impala, with its new LFX 3.6L V-6 engine, posted a best-in-class top speed of 150 mph – faster than any V-6 entrant. The Impala has an increase of more than 70 horsepower compared to last year. It topped all naturally aspirated V-6 entrants in acceleration and top speed. At 150 mph, the naturally aspirated Impala posted a higher top speed than the Ford Police Interceptor Taurus AWD twin-turbo V-6. The Impala PPV improved in the MSP 60 to 0 braking test by seven feet compared to 2010, and delivers 28 mpg highway, a 4 mpg improvement over the 2011 model. The Tahoe PPV, the first and only traditional SUV designed for police use, achieved segment-leading top speed at 139 mph and reduced its stopping distance by seven feet compared to its 2011 model.